This video is available with NFL Game Pass. Subscribe or Sign In now to watch. 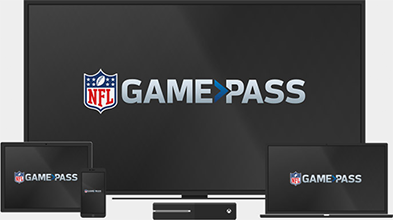 Catch NFL Game Pass at home or on the go on your phone, tablet, Smart TV, Game Console & Connected Device. © 2019 NFL Enterprises LLC. NFL and the NFL shield design are registered trademarks of the National Football League.The team names, logos and uniform designs are registered trademarks of the teams indicated. All other NFL-related trademarks are trademarks of the National Football League. NFL footage © NFL Productions LLC. Your account is being used to stream NFL Game Pass on a different device. Click "OK" to continue watching on this device. This feature requires Season Plus subscription. Please upgrade to Season Plus.